This very traditional Chinese soup is my all time favourite. It is something that I have loved since childhood and I still love its wholesome goodness. 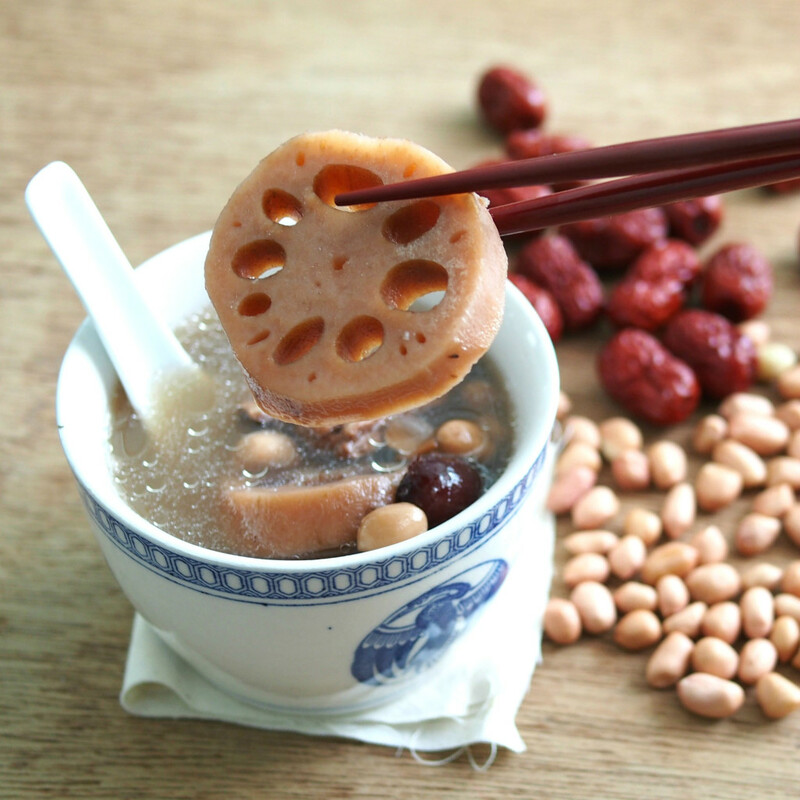 Lotus root soup is truly comfort food and whenever I think of homemade soup, this is the first to come to mind. 1. Soak peanuts in a bowl of water for 1 hour. 2. Rinse the red dates, cut them in half, remove the seeds. 4. Peel off the skin of lotus, wash and cut into slices. 5. Wash and cut pork ribs into pieces and blanch in boiling water and set aside. 6. 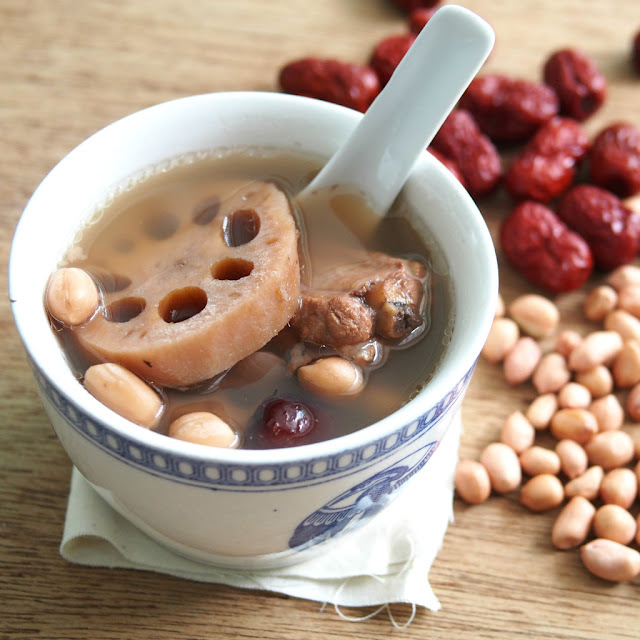 In a pot, add water, lotus roots and the rest of the ingredients except salt. Bring to boil. Lower the fire and simmer for at least 2 ½ hours. 7. Once the soup is ready, add salt to taste. 8. Keep warm in pot or reheat when ready to serve.